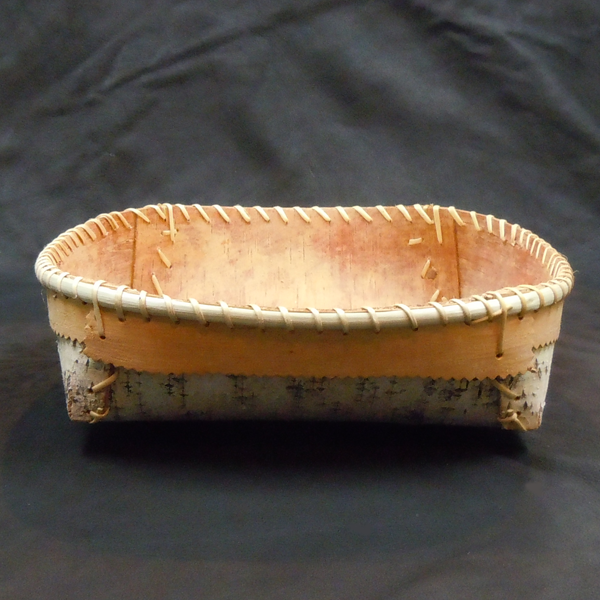 Handmade birch bark bowls with spruce roots woven around the brim. 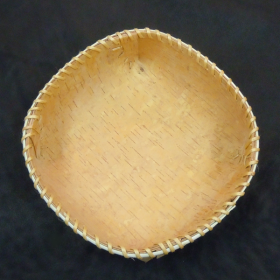 Bowls come in the following sizes and shapes. Oval bowls that measure 7.5" by 8". 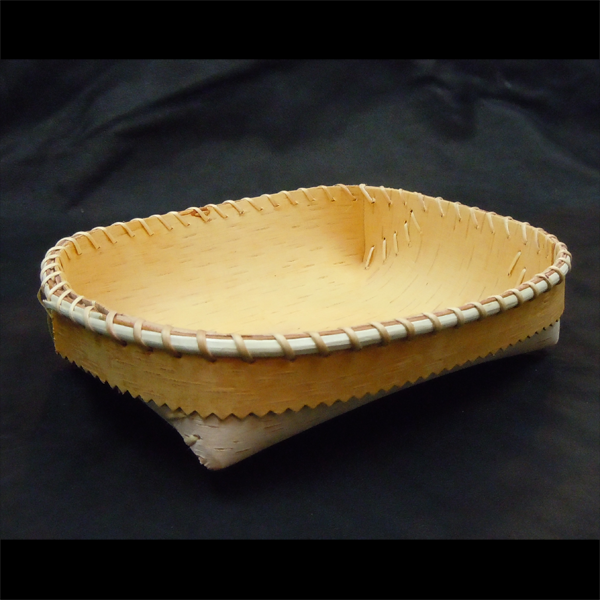 Medium round bowls measure 10" x 10". 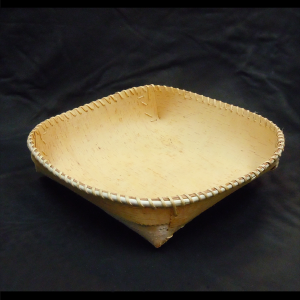 Large round bowls measure 12" by 12". 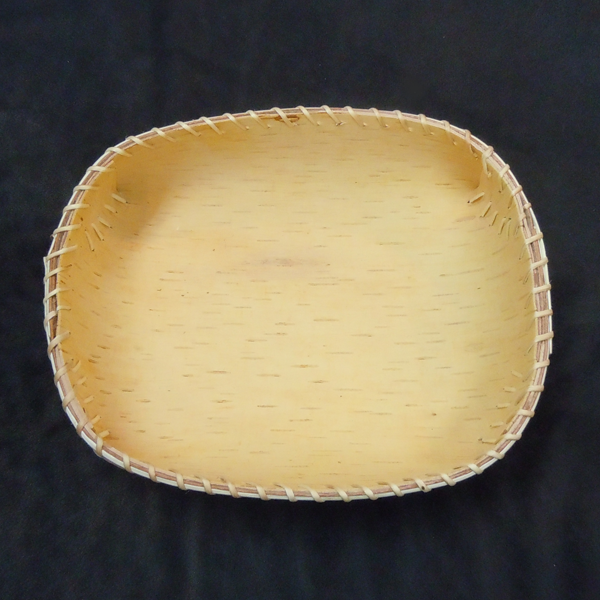 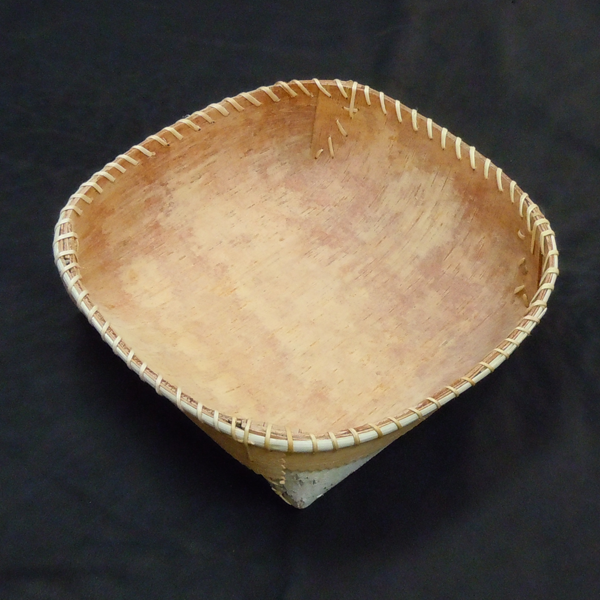 Please contact us to order your very own hand crafted birch bark bowl.